Countertop refinishing may sound like a hard and labor consuming task but it is not impossible to repair and restore the counter in the kitchen or bathroom vanity and extend its life. 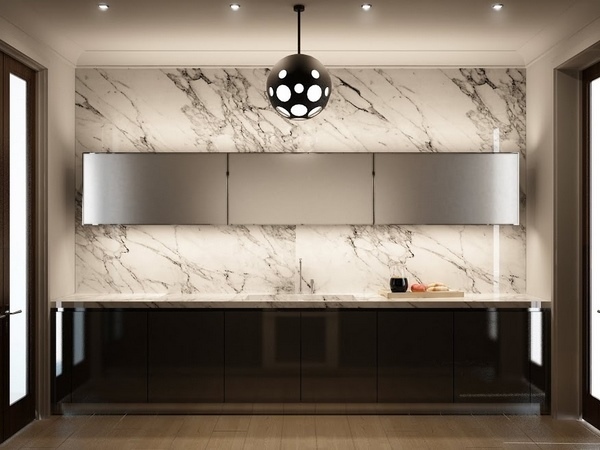 As you know, countertops come in a wide variety of materials – laminate, Formica, tile, natural stone – granite, marble, cultured marble, etc. 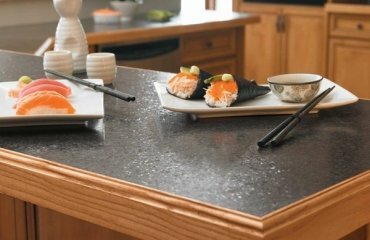 Obviously, refinishing a countertop is a way more affordable option than replacing it with a new one, especially if you have a custom made one, a large one or a model with curves and unique edge profile. 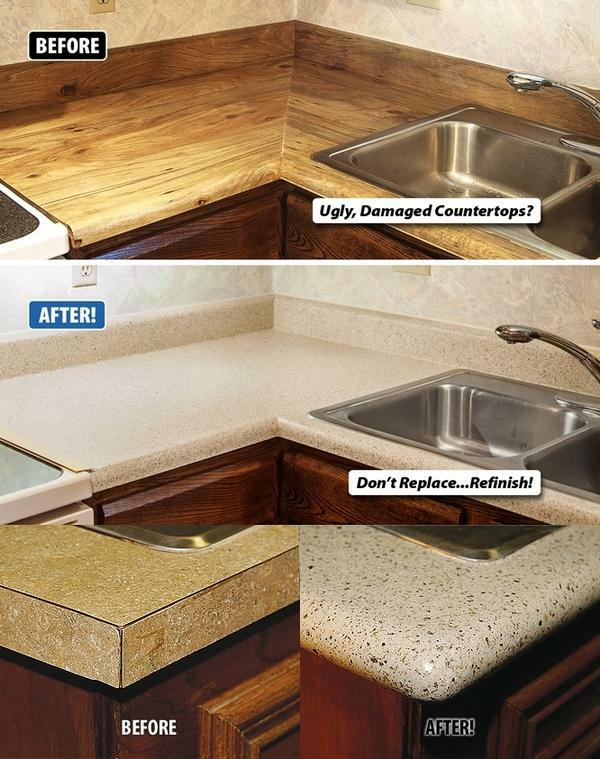 What are the advantages and disadvantages of countertop refinishing? Obviously, when an item can be restored and resurfaced its service life is prolonged and it can be used for many years ahead. This is especially true for counters made of durable materials like natural stone. Resurfacing a countertop is about 75% cheaper than replacing and this can be a significant saving of money if you have a lot of countertop space. In addition, you will not have to deal with all the chaos and the mess when demolishing and removing counters. 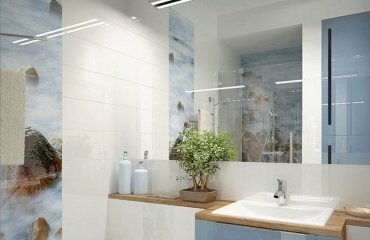 Resurfacing can be completed in 24-48 hours, which means that your kitchen or bathroom vanity counter will be as good as new really quickly. There is no doubt that a resurfaced countertop will be durable. After all, you give a new life to something that you already have and used for years. With basic care and maintenance you will use a refurbished counter for another 10-15 years. Many people replace countertops because they are damaged without realizing that many damages can be repaired before the resurfacing process. For example, burn marks, nicks, scratches, unsightly seams can be repaired and once the countertop is resurfaced, there will be no traces left. Removing and replacing a big counter will be quite expensive. 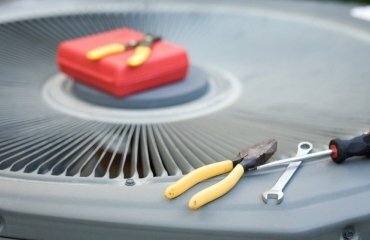 The process of replacing is quite messy and requires a lot of labor. 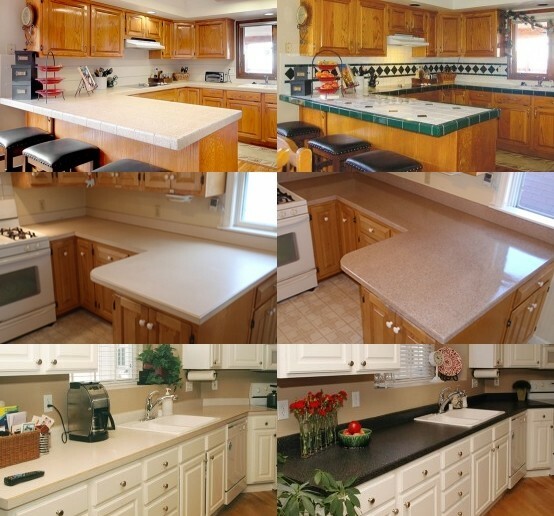 Countertops with curves, unusual or non-standard length or shape must be custom made which adds to their cost. 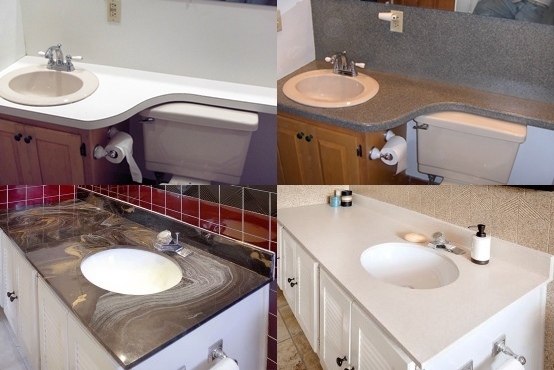 In addition, if the location of the sink is not standard, or the size and shape of the sink are not standard, you will need a custom fabrication. Whether you plan to resurface your countertop or hire a professional team to do so, you need to get prepared and organized. 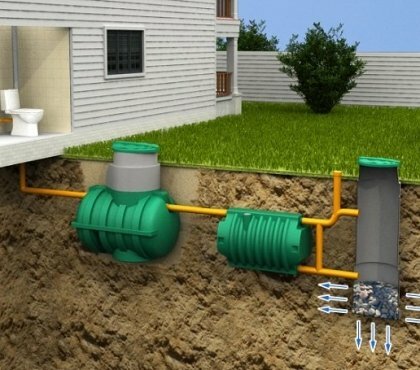 On the first place you need to clear everything from the surface, no matter whether it is the kitchen or bathroom. 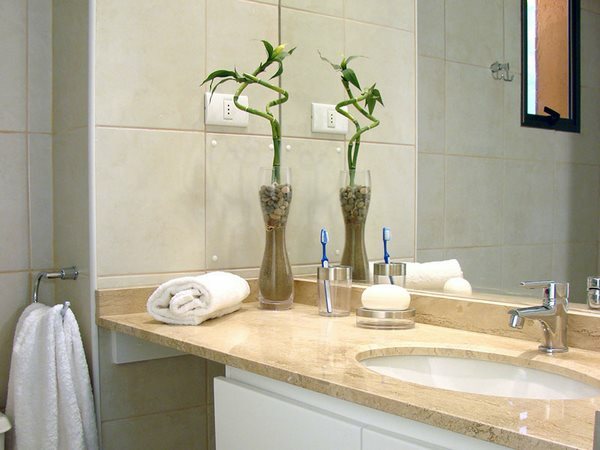 Move away toothbrushes, soap dispensers, cosmetic products, decorations and anything else that you keep on the vanity counter. 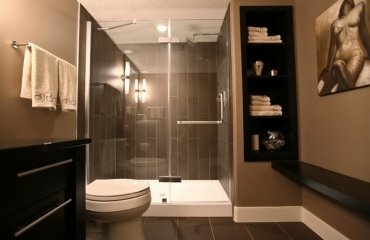 Items such as curtains, towels, bathrobes should be removed from the bathroom as well. 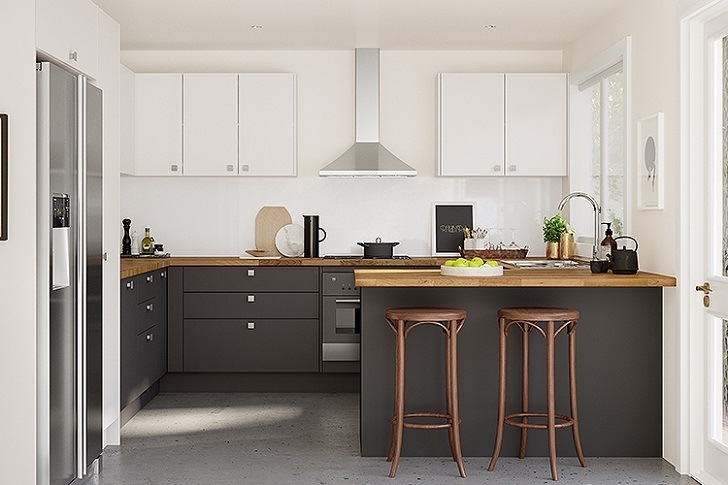 The same is valid for the kitchen countertop – appliances like coffee machines, toasters, organizers, storage baskets, everything should be moved, so that the surface is free. Tape the sink and the stovetop. In case you plan to replace the sink with a new one, make sure that the water is shut off. Very often countertops are next to a fridge and usually there is a stove. Check is any of these needs to be moved so that there is an easy access to the ends and the edges. How to refinish a wooden countertop? 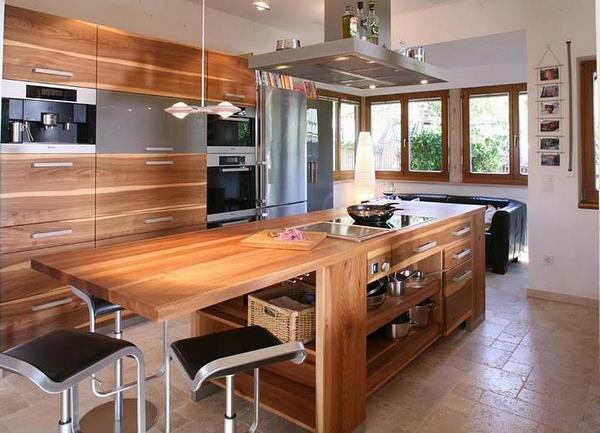 Wood countertops enjoy a huge popularity for their exclusive look. 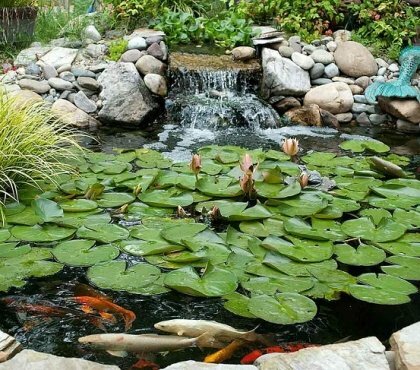 Wood offers many advantages but requires maintenance and depending on the type of finish, you may need a yearly (sometimes even more frequent) resurfacing. You need to scrape the surface with a scraper to remove any dirt accumulation. The second step is to sand the countertop and remove any stains and smooth the surface. Once sanded, wipe the countertop with a damp cloth. Do that several times to remove all the dust from the sanding. The final step is to apply the finish. Make sure that you have a high-quality brush. Once the finish is applied, use a clean rag to wipe off the excess. How to refinish a laminate countertop? 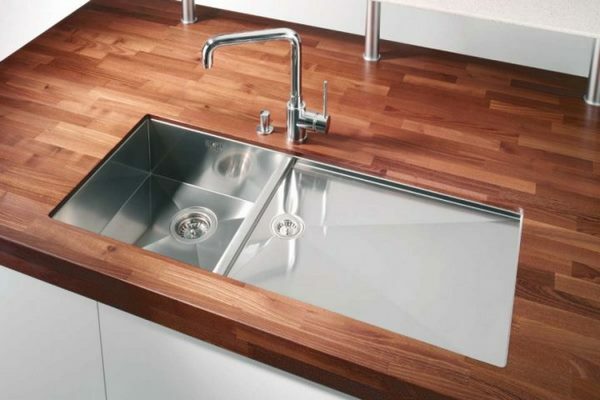 Laminate is one of the most common and economical countertop material. 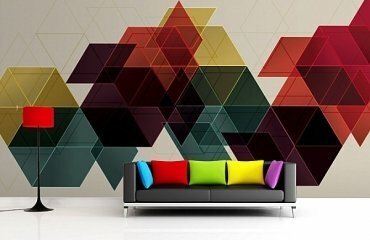 The basis of this multilayer material is chipboard, covered with paper and a protective layer of plastic (melamine). Laminate comes in different thickness – the thicker, the more solid and expensive. 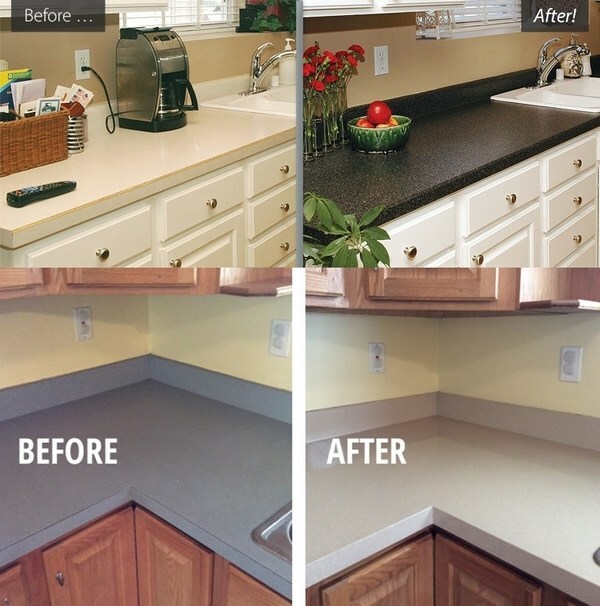 Here is a guide how to paint your laminate countertop. Clear the countertop and use a cleaning solution to scrub any dirt. Let it dry completely. Sand the surface with a sanding sponge. Wipe the countertop thoroughly to remove any dust and debris. You may need to do that several times. How to refinish a marble countertop? Wipe the countertops with a household cleaner and degreaser. Use a damp sponge to remove any leftovers from the cleaning products. Wipe the counter dry with a clean rag. Sand the countertop with a sanding block or a sanding machine. Wipe off the dust with a dry cloth. Apply the finish following the directions of the compound manufacturer. When you have applied the finish, clean the countertop with a damp cloth. 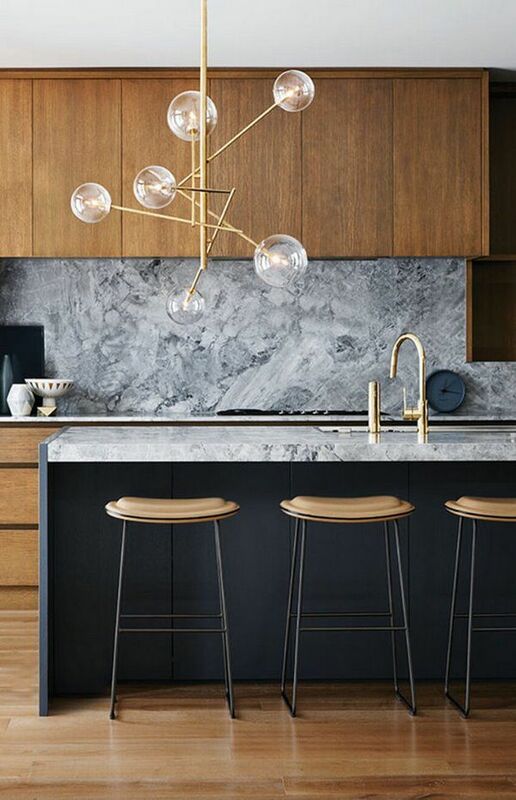 Wait for 24 hours and apply a marble countertop sealer. How to refinish a granite countertop? 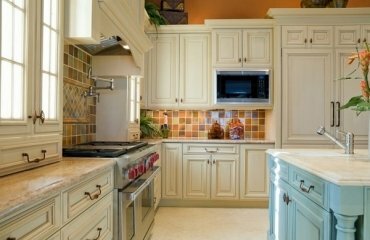 Granite countertops are the most preferred in the design of kitchens and are also installed outdoors. 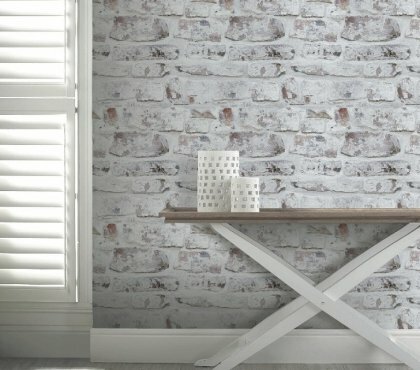 Despite that they are very durable, natural stone worktops can break, get stained or scratched. 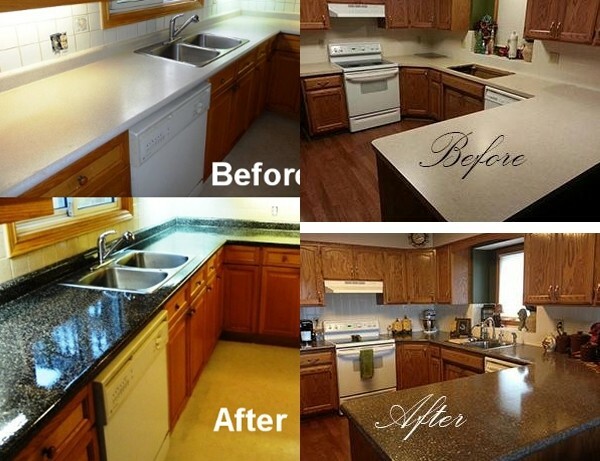 Countertop refinishing will restore its beauty and you will enjoy it for many years more. Clean the surface with mild soap using soft paper towels or a sponge. You can use dry granite polishing powder (also called stone polishing compound) or wet polishing which requires a special tool. Apply a coat of acrylic coating on the surface. Let it dry completely and apply another coat of the acrylic. 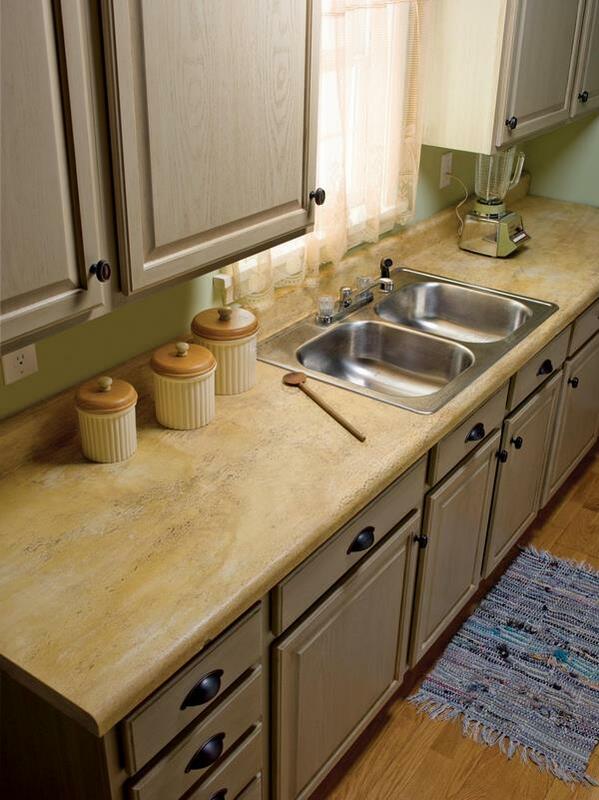 Seal the countertop to maintain the gleam of the stone and protect it from stains.